Does Milk Thistle Help Skin? Alcoholism affects the entire family when not treated. 4 Does Milk Thistle Help Skin? Alcoholism is a disease that not only affects the individual with an addiction to alcohol, but also the family. According to the United States Department of Health and Human Services and the Substance Abuse and Mental Health Services Administration, more than 76 million adults in the U.S. have been exposed to an alcoholic in the family. An alcoholic’s addiction, behavior, physical and mental symptoms can disrupt your family and especially a sober spouse if not treated. 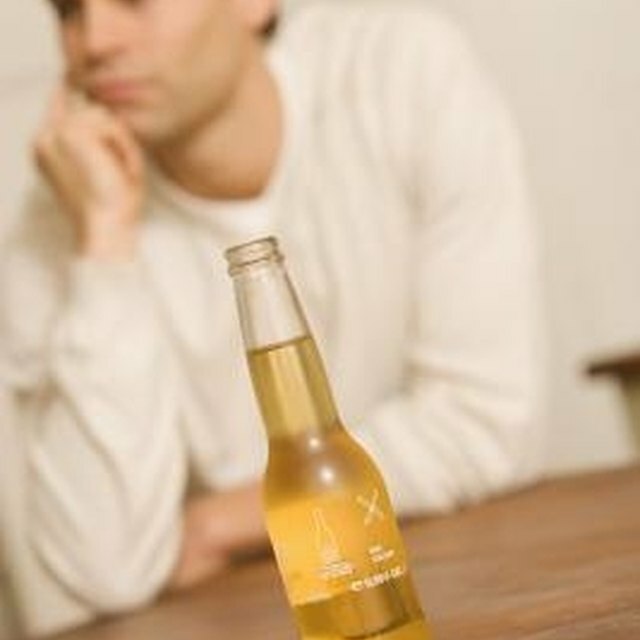 As the sober spouse of an alcoholic, it’s common to experience feelings of hatred, exhaustion, self-pity and anti-social behavior, as cited in “Alcoholism and its Effects on the Family,” published in the AllPsych Journal. The sober spouse is often exhausted from the responsibility of performing the role of caretaker and assuming the role of both parents, which could ultimately lead to mental or physical illnesses. It’s important for the sober spouse to seek support from friends, family members and a professional counselor during this difficult time to ensure that he or she is taking care of his or her emotional and physical well-being. While a spouse is coping or struggling with alcoholism, it’s common for him or her to neglect family or parenting responsibilities and demand more from the sober spouse while inflicting the family with inconsistent behavior, according to the research by the AllPsych Journal. An alcoholic spouse may also cause financial issues for the family when additional money is spent to feed the addiction. As the sober spouse, it then becomes your responsibility to provide consistency and financial security for the family, which can be a stressful burden, especially if providing for children in your home. Even though a sober spouse may do his or her best to provide support to an alcoholic partner, it becomes increasingly difficult to do so when coping with communication barriers, hurt feelings, resentment and a loss of intimacy. According to Cynthia Perkins, mental health professional and founder of The Clean and Sober for Life Jump-Start Program, trust can break down the quality of the relationship. In her article titled “Alcoholism in Marriage,” Perkins notes that the sober spouse may need to distance him or herself from the alcoholic spouse to stay emotionally and physically healthy, especially when violent or verbally abusive behavior occurs. Unfortunately, with increased distance between you and your partner, it may be even more difficult to reason with him or her, provide support and work on rebuilding the marriage. An alcoholic often suffers from life-threatening issues, including physical ailments, emotional breakdowns and mood swings that range from feeling confused and frustrated to anxious and depressed. Unfortunately, many of these stress-induced ailments and emotional obstacles affect the sober spouse as well, according to Perkins. In addition, a sober spouse may suffer from low self-esteem, a negative self-image, feelings of shame, guilt and helplessness while watching his or her partner give in to this addiction. As the sober spouse, worry may consume you, causing significant stress as you contemplate what the future holds for your marriage, how your children are coping and the effects on your financial and household well-being, according to Perkins. Although it is imperative that your alcoholic spouse seek treatment, it is also important for you and your family to attend counseling sessions with a professional therapist to ensure you have the tools to not only support your spouse, but also to help yourselves.